Dan Swain is an activist and writer. He is currently working on a PhD in Marxism and Ethics at the University of Essex. His book Alienation: An Introduction to Marx’s Theory has been shortlisted for the Bread and Roses Award for Radical Publishing. 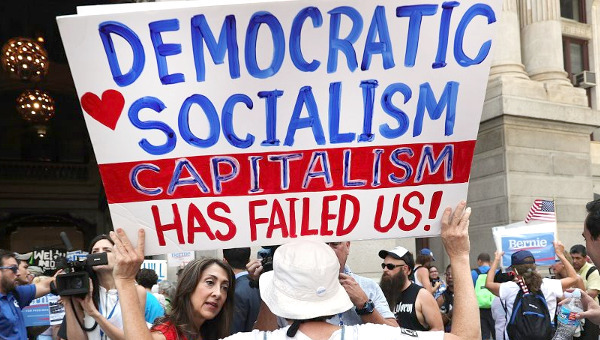 Swain was interviewed by Mark Bergfeld, who is a socialist activist living in London. He was a leading participant in the UK student movement in 2010. He currently is reading for his PhD in Networked Movements and The Challenge for Left Parties. He tweets @mdbergfeld and his writings can be found at mdbergfeld.wordpress.com. 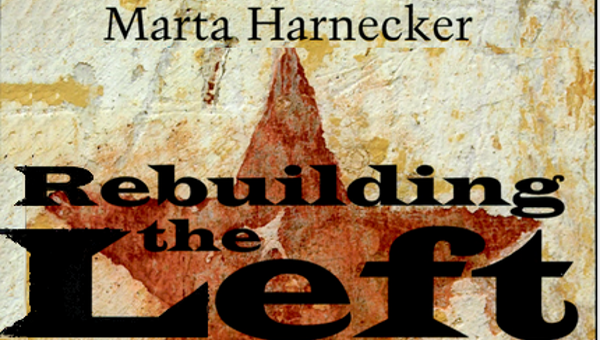 Mark Bergfeld (MB): Marx used the philosophic theme of alienation throughout the 1840s. His later works such as Capital (1867) tend to focus on political economy and social science. Books on Capital pop-up like wild flowers these days. Books on alienation are a rarity. What made you write about Marx’s theory of Alienation? 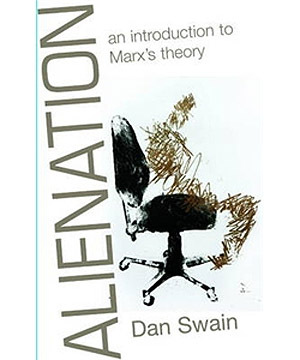 Dan Swain (DS): I wrote about alienation for my master’s thesis, in which I was particularly interested in the way in which the idea of alienation can form an ethical core to Marx’s wider critique of society. I found that a lot of the books about alienation that are out there are highly academic, and many of them are decades old, and so are stuck in older debates which are less relevant to today. It was great to get the opportunity to write something accessible, and in the process help me get clearer about my own ideas. I think the number of books about Capital reflects an understandable desire to re-engage with political economy after the crisis, and that should be welcomed. There’s also a legacy of academic debates which have tended to deprioritize Marx’s earlier writings. Nonetheless, the central idea behind alienation, that our social forms of life are organized in such a way that is radically bad for us, not just because of inequality or material poverty, but because they prevent us from living a fulfilled life, seems to me still profoundly relevant. MB: For me there is a clear difference rather than a break between the young Marx who is still influenced by Hegel’s idealism and the older Marx who has systematized his views to a far greater extent in the course of his revolutionary life. For me, the shift from ‘alienation’ to ‘metabolic rift’ is examplatory of this passage. Does György Lukács’ concept of reification then complement an unfinished project? DS: Marx’s ideas certainly develop through his life – it would be bizarre to think they didn’t. Nonetheless I think it’s an exaggeration to see the kind of sharp breaks that some interpreters see. Lukács gives us a useful way of seeing the notion of commodity fetishism, central to Capital and the later Marx, as a development of the arguments about alienation which occur in the earlier Marx. Although Lukács didn’t have access to Marx’s early writings, he is clearly able to trace out some themes which are prominent in the young Marx through the idea of commodity fetishism. Lukács, though, is just one of a number of thinkers who attempt to develop Marx’s undeveloped insights on commodity fetishism – that the commodity form shapes many aspects of our social life – into useful philosophical directions, with varying degrees of success. It’s striking how much of this happens in the revolutionary period immediately after the First World War, and is then slowly choked off by the rise of Stalinism. MB: One of the biggest challenges we face today is the ecological and climate crisis. Part of Marx’s theory of Alienation is alienation from nature. Does that mean we have to go back to the Garden of Eden or live in trees? Could you explain? DS: I think it is a great strength of Marx’s theory that he simultaneously believed that our alienation from nature could be overcome, and that that overcoming would be through progress rather than regression. This sets him apart from a great deal of environmental thinking today. For him, the core of the environmental crisis was the breakdown of the metabolic relationship between human beings and nature, caused by the anarchic nature of production. This breakdown can, arguably, be overcome through planning of labour, in a way that can begin to properly regulate the metabolism. For Marx and Engels this was about managing the growth of cities, for us it is about averting environmental collapse. Far from involving some sort of ‘return to nature’ this requires the most advanced scientific technology and knowledge but, crucially, organized in the interests of people, not profit. MB: Given my academic background I have always been intrigued by ruling class alienation, celebrities and advertizing culture. It’s interesting that your book argues that the ruling class experiences alienation. However you draw out some differences drawing from Bertel Ollman who claims “advantage is relative, rather than absolute.” How does the ruling class experience alienation? DS: I think the ruling class experiences alienation in a variety of ways. For one thing, those in the ruling class are just as likely to have alienated relationships to others as anyone else. Their relationship to family and friends are just as likely to be mediated and dominated by the commodity form as those in the working-class. Moreover, an individual capitalist does not have much more control over the workings of the system than anyone else. They are subject to the demands of competitive accumulation and ‘the market.’ Their wealth and material status can often cushion the worst effects of this, allowing them to exert more control over their lives than someone completely dependent on a wage for survival, but they remain the prisoner of forces largely outside their control. MB: Doesn’t that abdicate the ruling class of any (ethical) responsibility? DS: I don’t think so. We know that reactionary ideas like racism and sexism have roots in how our society is organized, but it does not stop us challenging and criticizing those within our movement who promote them. Likewise, we know from experience that, despite the pressures of the system and the constraints of history, there are always choices – to fight back or to accept, to cross a picket line or not. The ruling class deserves to be condemned for perpetuating a system which is ultimately bad for the whole of humanity. That said, I am much more interested in ensuring our side is unified and organized than I am in condemning the ruling class for what it does! MB: One of the major themes in your book is ‘control.’ You even define alienation as ‘lack of control.’ I believe that ‘reification’ goes so far that we control how many calories we consume, what we say in public or how we spend our leisure time. There’s no such things as hobbies, pleasure for pleasures’ sake. Isn’t it one of capitalism’s greatest achievements that we are controlling ourselves to be profit-maximizing workers? DS: Yes, I think it’s noticeable just how much ‘micro’ control people exert whilst still being largely powerless at a ‘macro’ level. People record down to the minutest detail their food intake, people go to gyms dominated by the need to meet measurable ‘Key Performance Indicators,’ and so on. One thing I’m very interested in is an idea of ‘pathological’ autonomy or control. On this notion, it is precisely because of the lack of control over so many areas of our lives that we attempt to exert such intense control over our own body, often with extremely damaging results. I think you see this most clearly in cases of Anorexia Nervosa, but it seems to me to take a variety of forms. MB: Chapter 5 concentrates on the alienation from one’s labour product. I found it overall the weakest chapter as it didn’t draw on some of the popular examples you drew out in other chapters. What does Marx mean by alienation from product? Is it what John Locke meant when he argues that the slave’s labour belongs to the master or is it more about people going shopping for Nike shoes, ipods and leather jackets during the riots? DS: What Marx says about alienation from product is probably the hardest bit to put into modern terms, because many forms of labour in our society do not have a clear material product. Nonetheless, Marx is interested, primarily, in the way in which the things we produce come to dominate us, instead of becoming things which improve our lives. So instead of shortening the working day or making people’s working lives easier, developments in technology just mean increased productivity or job losses. I think some of the things Marx says about alienation from product should best be seen as a precursor to his more developed ideas about commodity fetishism, in which the products of human labour seem to have a life of their own. Certainly the focus on consumer goods in the riots lends itself to this kind of analysis. These objects take on a significance way beyond their usefulness as products, and people become fixated on them. Combine that with economic inequalities which systematically deny these products to the very young people encouraged to want them the most, and it’s understandable why what happened happened. MB: In your book you draw out that one of Marx’s greatest influences, Ludwig Feuerbach, believed that education could overcome alienation. Similarly, we can see in Charlie Chaplin’s Modern Times that the main protagonist resolves the issue of alienation by falling in love and having a romantic relationship. Why do you think people try to resolve the problem of alienation through individual solutions? DS: I think the most straightforward reason is the relative lack of examples of collective solutions. Generally speaking, class struggle has been at a low level over the past few years, and neoliberalism has tended to erode other forms of community life. The increasing privatization and erosion of public space makes it harder to conceive of what collective responses to alienation might look like, and where they might even take place. In this kind of environment the ‘common sense’ is very much to look for individual solutions. MB: John Holloway argues that people engage in the ‘unalienated labour of everyday life’ by, for example, the car worker practicing the guitar chords while he’s waiting to assemble the next car on the production line. What are your general criticisms of Holloway? DS: I think Holloway has a lot of interesting things to say, but he paints too romantic a picture of the way in which the activity of everyday life points beyond alienation. A lot of what he says can be a useful corrective to the pessimism which says no activity can ever be truly fulfilling, but I think that the examples he draws on are often more complex than he suggests. At a theoretical level, I think this is because of his conflation of concrete labour with unalienated labour. As Marx argues, labour under capitalism is both abstract and concrete at the same time. Holloway thinks that the concrete aspect of labour can be the basis for transcending abstract labour. However, many forms of labour – take the arms industry, for example – don’t seem to me to point to an unalienated world no matter how ‘concrete’ they are. More broadly, I think Holloway underestimates how much the possibility for unalienated human activity must be created through political struggle, and instead seems to see it as already there. MB: There’s a figure which shows that strike days go down from the mid-1980s onwards and days lost due to illness have skyrocketed. You also have been involved in a number of social and political movements throughout the last decade and have been known to put a great emphasis on revolutionary practice. 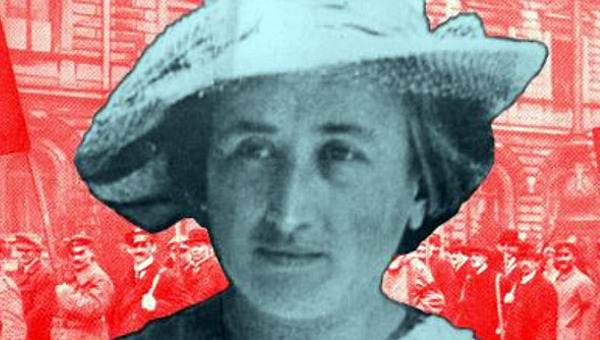 Can revolutionary practice constitute unalienated labour? DS: Marx talks about revolutionary practice as “the coincidence of changing of circumstances and of human activity, of self-changing.” I think in this sense we should think of revolutionary activity as creating the basis for unalienated, genuinely free labour and see a clear continuity between action directed at changing the world and the kind of unalienated labour we want to see. That said, I think we need to be careful not to romanticize political activity. 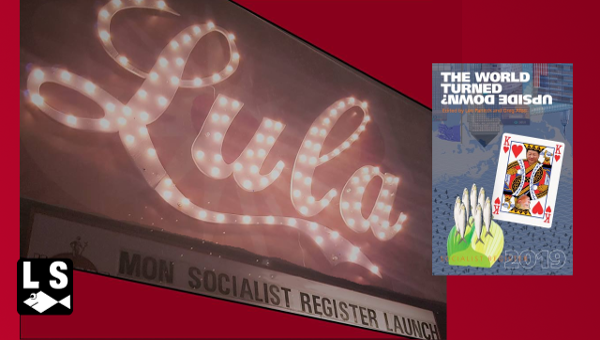 Genuinely revolutionary moments are few and far between, and a lot of political activity can be pretty tedious and unrewarding, and political activists are far from unalienated! You don’t cast off the muck of ages by declaring yourself a revolutionary, but through active participation in changing the world. Most day to day political activity falls well short of that. MB: You teach a course called Capitalism and Its Critics at the University of Essex. The course was introduced after the trebling of tuition fees. How does alienation manifest itself in universities? DS: That’s a big question! On the one hand, there is alienation in the work of teachers and lecturers. Academic work holds out this promising ideal of autonomy and freedom, where you choose what you get to research, and then pass it on to peers and students. Unfortunately, a culture of targets and assessments creates a constant barrier to that. The reality is a working life which is intensely monitored and out of your hands. Both what you teach and what you research is dictated to a great extent by funding, which is increasingly subject to market pressures. Recent changes in British universities have only accelerated this. On the other hand, for students, alienation is slightly different. Students are pitched against each other in competitive exams and assessments, whilst at the same time subject to many of the pressures placed on young people, often most acutely. I also think there is a huge problem with the gap between expectations and reality. Students are told that their education will deliver them status and better job opportunities, that they will achieve creative and flexible jobs through getting their degree. The economic crisis means this is far less likely to be the case, and for many graduates getting any job at all is a challenge, let alone the exciting, creative opportunities they were offered. MB: Marx argues that alienation can only be overcome by transforming the way people organize their labour. Wouldn’t we still be alienated in a socialist society? Dan Swain is an activist and writer. He is currently working on a PhD in Marxism and Ethics at the University of Essex. Mark Bergfeld is a socialist activist. He is the author of “Portugal: Crisis and Resistance” and appears frequently on national and international television to give insight on protest movements in the UK and Europe. His writings can be found at mdbergfeld.wordpress.com.